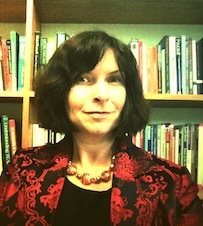 Dr Jennifer Charteris is Senior Lecturer in Pedagogy. Her particular research trajectory is in the area of politics in Education. Politics can be understood as power relations; the origin and distribution of power. Jennifer’s research interests span identity and subject formation, student voice, assessment for learning, and the politics of teacher education and professional learning. Critical, Poststructural, New Material and Posthuman theories influence much of her work and she is interested in how theories of affect and materiality can be used to inform education research. As a teacher educator with teaching experience in Aotearoa/New Zealand, Australia and the UK, Jennifer has worked with students, teachers, principals, school communities and school in-service advisors across the primary, secondary and tertiary sectors. As an in-service teacher educator with the University of Waikato, NZ, Jennifer provided professional learning for principals and teachers that aimed to raise student achievement through targeted assessment for learning and culturally responsive pedagogies. At UNE, she teaches research methods at masters level and learning theories in the Bachelor of Education (K-6 Teaching) course. She is interested in supervising PhD, EdD, or masterate students in the areas of assessment, elearning/ epedagogy, and teacher education and professional learning, and in particular those who want to extend their knowledge and use of Critical, Poststructural, New Material and Posthuman theories. Chair of the Research Working Group. School of Education. University of New England. Adjunct Senior Lecturer, School of Education, University of Fiji. MTchnLn -University of Canterbury, New Zealand. Thesis: An Action Research Project on Leadership and Change Management. Quinn, F., Charteris, J., Adlington, R., Rizk, N., Fletcher, P., & Reyes, V. (2016). Reach and scope for Primary Connections online professional learning and development: A sector scan and review of science and literacy initiatives. A review commissioned by the Academy of Science to inform provision of online professional learning and development for Primary Connections. Charteris, J., & Smardon, D. (2018). Policy enactment and leader agency. The Discursive Shaping of Political Change. New Zealand Journal of Teachers’ work, 15(1), 16–33. Available at: https://ojs.aut.ac.nz/teachers-work/index.php/teacherswork/article/download/237/437/. Barker, L., Nye, A., & Charteris, J. (2017). Voice, representation and dirty theory. Postcolonial Directions in Education, 6(1), 54-81. Charteris, J., Smardon, D., & Nelson, E. (2016). Innovative learning environments and discourses of leadership: Is physical change out of step with pedagogical development? Journal of Educational Leadership, Policy and Practice, 31(1), 33-47. Nye, A., Barker, L., Charteris, J. (2016). Matrilineal narratives: Learning from voices and objects. Hecate, 41 (1-2), 180-190. Charteris, J. (2015). Learner agency and Assessment for Learning in a regional New Zealand high school. Society for the Provision of Education in Rural Australia 25(2), 2-13. Charteris, J. (2014). Agentic subjectivities and key competencies. Curriculum Matters, 10, 11-31. Charteris, J. (2014). Epistemological shudders as productive aporia: A heuristic for transformative teacher learning. International Journal of Qualitative Methods, 13, 104-121. Charteris, J., & Smardon D. (2014). Dialogic peer coaching as teacher leadership for professional inquiry. International Journal of Mentoring and Coaching in Education, 3 (2), 108 – 124. Smardon, D., & Charteris, J. (2014). Strengthening teacher co-leadership through professional inquiry. Journal of Educational Leadership, Policy and Practice, 29 (2), 73-83. Charteris, J., & Smardon, D. (2013). Second look - second think: A fresh look at video to support dialogic feedback in peer coaching. Professional Development in Education (Special Issue) 39 (2), 1-18. Reyes, V., Charteris, J., Nye, A., & Mavropoulou, S. (2019). Educational research in the age of anthropocene. Hershey, PA: IGI Global. Charteris, J. (2018). New weapons in the ruins of capitalist pedagogy. Australian Association for Research in Education (AARE), Sydney, 2-6 Dec.
Charteris, J., Nye, A., & Jones, M. (2017). Affective flows in the media firestorm: Belonging, lust, resistance, and hope through the networked gaze. Australian Association for Research in Education (AARE), Melbourne, 26-30 Nov.
Charteris, J., & Smardon, D., & Nelson, E. (2016). Innovative learning environments and the conjunctural epoch: A new material reading of the spatial politics of schooling. Australian Association for Research in Education (AARE), Melbourne, 28-31 Nov.
Charteris, J., Nye, A., & Jones, M. (2016). Choral refrains-Joussiance an ecstasy of escape. Australian Association for Research in Education (AARE), Melbourne, 28-31 Nov.
Charteris, J., & Gregory, S. (2016). Sexting, cyberbulling and the use of disappearing social media in Australian schools. New Zealand Association of Research in Education (NZARE) Wellington, 20-22 November. Charteris, J., & Smardon, D. (2016). Assessment for learning territories: A cartography of practices. Research and Innovation in Classroom Assessment Conference. Brisbane, 21st – 23rd September. Charteris, J., & Smardon, D. (2016). Learning leadership and relational trust: The challenge of innovating the pedagogical core of schooling. 2nd Annual International Conference on Education. Bangkok, Thailand, 21st – 22nd April. Charteris, J., & Masters, Y. (2014). Embracing Diverse Funds of Knowledge in First Year Higher Education. The Sixth Asian Conference on Education Osaka, Japan. 28th Oct- 2 Nov.
Charteris, J. (2014). Troubling the familiar: Epistemological Shudders as an analytic lens to explore performativity. International Conference of the Australian Association for Research in Education (AARE), Brisbane. 30 Nov- 4 Dec.
Charteris J., Quinn, F., Parkes, M., & Fletcher, P. (2014). Assessment for Learning and Digital Technologies in Pre-Service Teacher Education Courses. Ulearn -elearning in Education Conference Rotorua New Zealand 8-10 Oct.
Charteris, J. (2013). Agency as performative: An analysis of agency in a secondary classroom. International Conference of the Australian Association for Research in Education (AARE), Adelaide, 1-5 Dec.